As soon as the sun came out the other day, it got me thinking about my summer wardrobe. I was thinking about walking around in the sun during my upcoming trips, about what clothes I'm going to take to festivals, what items are going to get me through the warmer months....and I realised my wardrobe was definitely not summer ready. I was in desperate need of some lighter additions (I think I bought waaay too many coats and jumpers in December!) and I got myself looking on the internet for those perfect holiday items. The first new addition that arrived on my doorstep was this Glamorous beauty, from Dizen Clothing, and whilst it might not quite be warm enough to wear it daily yet here in England, this is going in my suitcase for all of my summer trips. As soon as I saw this adorable little number on the Dizen website, I knew it had to be mine. It's got everything you could want in a summer staple dress - the boho vibe, the fringing, the contrasting tassels, the floaty fit...It's literally summer boho heaven in a dress. 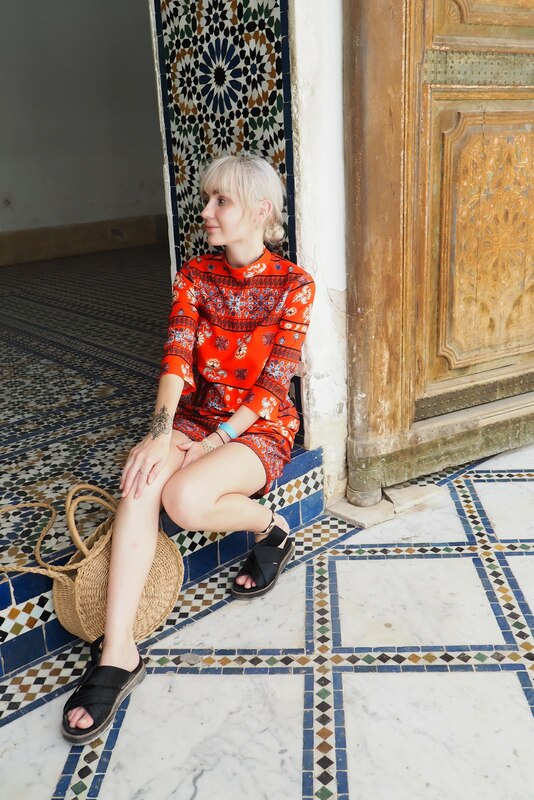 I'm going to Dubrovnik and Barcelona in the summer so this dress is great for a day time cover up for walking around the hot cities but equally, thanks to the boho, indie style, you can easily see it at a festival. I'm thinking with chunky black boots and a leather jacket, although I might have to be a little bit careful with the mud - you know how UK festivals usually turn into swamps by the end of the weekend! If you're looking to update your holiday wardrobe, Dizen's new in section is just dreamy. Thinking pretty florals meets edgy biker and you have your perfect versatile summer wardrobe from all of your fav brands in one place! The sandals have been another recent summer addition for me (like I needed another pair of black shoes right?!) but I couldn't resist these Topshop beauties. I always look in Topshop's shoe section at this time of year, which probably isn't a good idea if you're trying to save for holidays because you will want to spend money, but they always have the best variety of sandals. I love black sandals with a little bit of a heel for my holiday shoes because they're so versatile. Shoes can really weigh your case down so I try and take pairs I can wear with everything! p.s. have you entered my 18k giveway where you can win a £75 Dorothy Perkins voucher and a package of surprise goodies?! Love this boho dress! Now that the weather is finally getting better I can start dress shopping! Absolutely love this, such a cute little dress and it looks lovely on you. Lovely location too! Can't wait for summer. This is such a pretty outfit! It will look so lovely in the summer. I love the pop of colour with the red on it. So gorgeous!